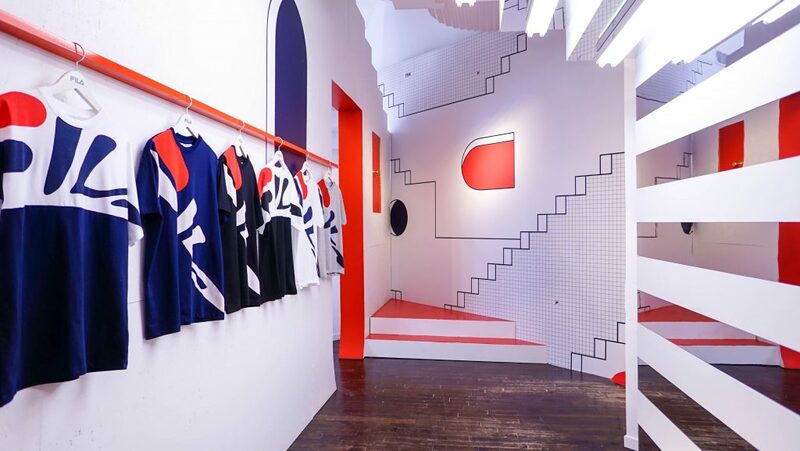 Cementing its status as an iconic Fashion and Sports brand, Sportswear brand FILA debuted a pop-up store to honor its heritage this month in Soho, NYC. 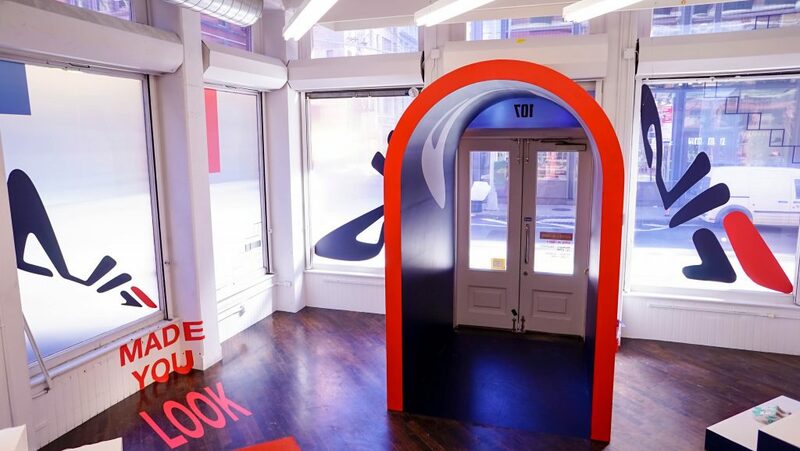 Building out on our space on Grand Street, the brand’s main intention was to create an immersive experience where both new and existing fans could interact with FILA in real life – the first NYC retail experience for the brand in over a decade. 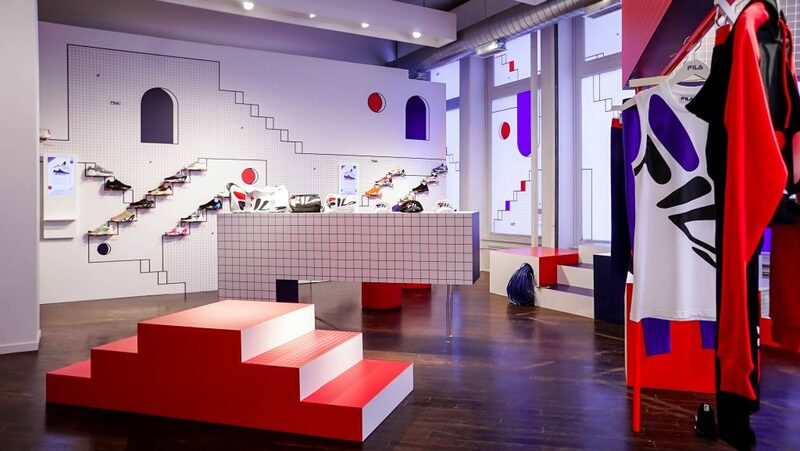 The store concept focused on the revamp of FILA’s Mindblower sneaker, originally released in 1995, as well as the introduction of the first-ever Mindblower-inspired collection of apparel and accessories for men and women. 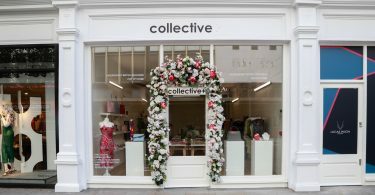 To play off this collection, the brand wanted a “surreal, warped reality sort of feeling” says Lindsay Vick, it’s Director of Marketing. 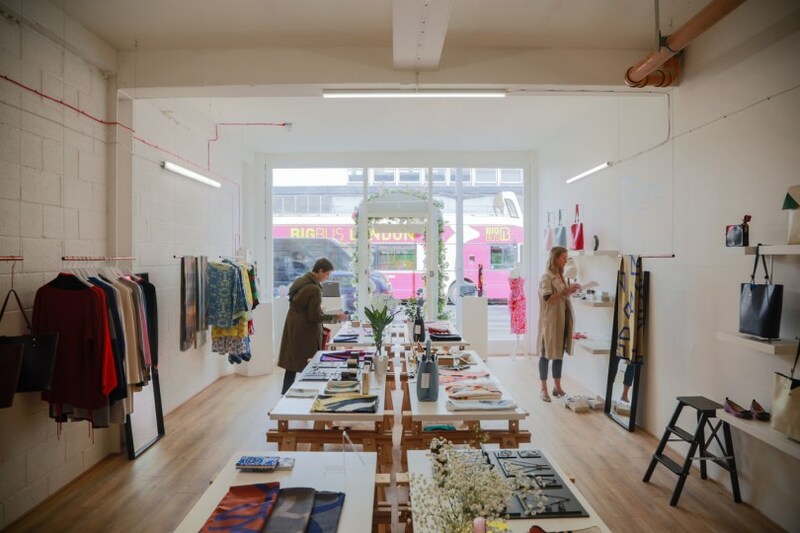 Explore the pop-up space below. Upon the space’s entrance (and outdoor signage! 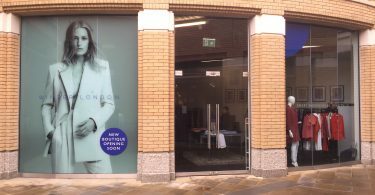 ), the branding was very intentional and large, meant to stand out. 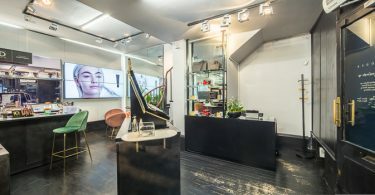 Says Vick, “we struggled with finding the balance between wanting a large, open concept space” but not a gallery feel. 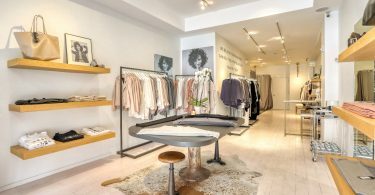 They ultimately landed on the trendy Grand and Mercer Street corner, as it was very much “in line with the way we were positioning ourselves as a street style brand” which is where the brand belongs, emphasizes Vick. The team used physical and visual optical illusions, and other effects to distort the space and trick the eye. 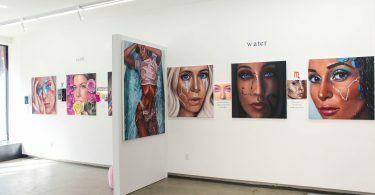 “[While] looking for the space we were trying to find something that created a contained experience and an immersive experience,” says Vick, and the team zoomed in on this warped reality theme. 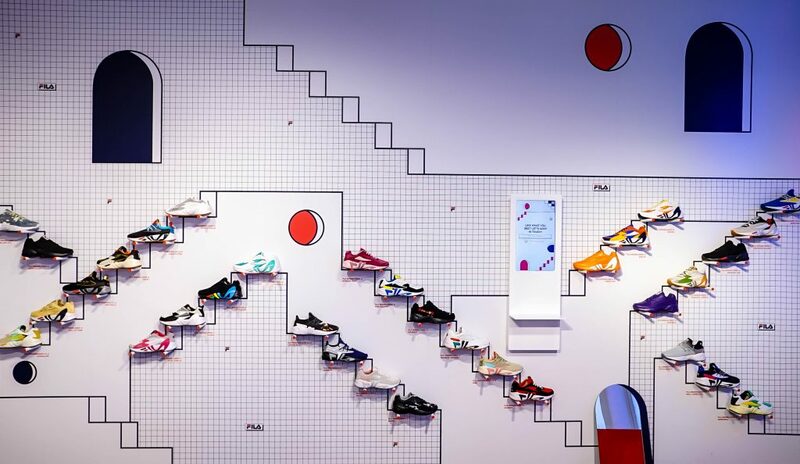 Also a part of the pop-up store design was a unique mix of nearly 50 collaborators across the globe, where each collaborator was asked to design a limited-edition sneaker, prominently displayed on the staircases and walls of the store. 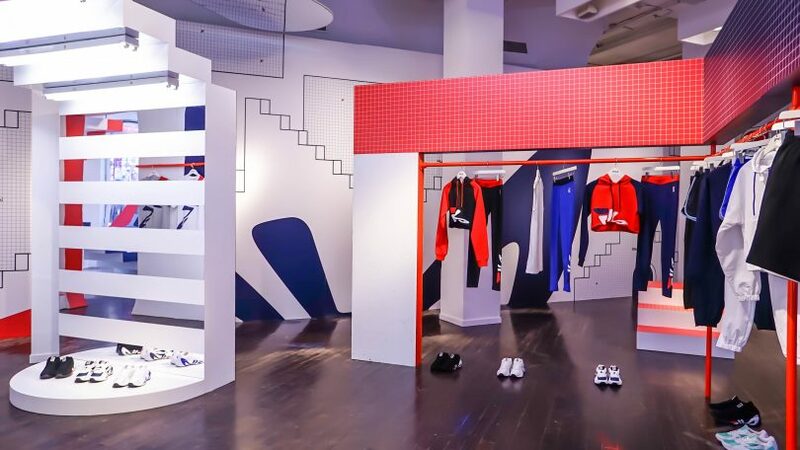 The brand was keen on testing and re-introducing its heritage to the NYC market and, with no set plan to open a permanent retail space in the near future, “it was a great to see people were excited and hungry to know more” about FILA and stay tuned on it’s future plans. 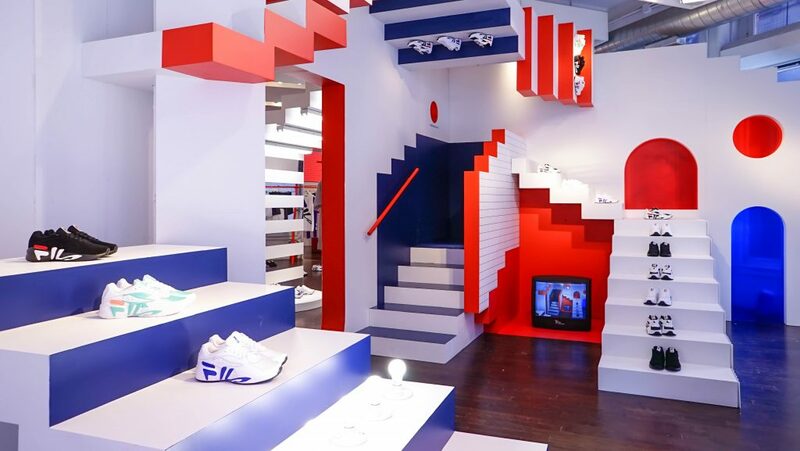 Additional FILA Mindblower pop-up locations opened at Atmos Blue Omotesando in Tokyo and Kasina in Seoul. Arielle is the Communications Manager at Storefront. 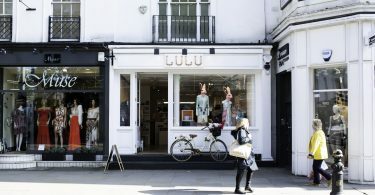 Beyond offering up insights on the future of retail and pop-up shops, she also loves to write, travel and watch documentaries. 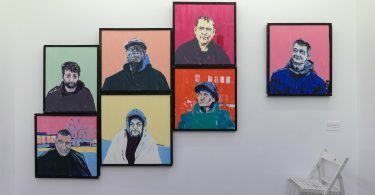 She lives in Brooklyn, NY. 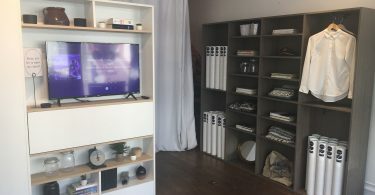 From white-box spaces to corner stores, hotel residencies and industrial lofts, Storefront provides an exclusive catalog of 10,000+ amazing spaces available for short-term renting. 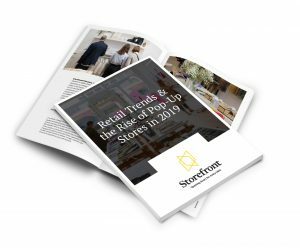 This report reflects on key trends and technologies impacting the industry, shines a spotlight on how some brands play into these trends and pinpoints how Pop-Up stores function as a strategic tool for both brands and landlords.